Do you want to move your custom domain Blogger blog to WordPress? Blogger is a free blogging platform that has been around for a very long time. In our main Blogger to WordPress migration tutorial, one of our readers asked us for step by step instructions on moving custom domain blogger website to WordPress. If you have a custom domain Blogger blog, and you want to move it to WordPress, then this tutorial is for you. In this step by step guide, we will show you how to easily move a custom domain blog from Blogger to WordPress. Following are the steps we will cover to help you move your custom domain blog from Blogger to WordPress. 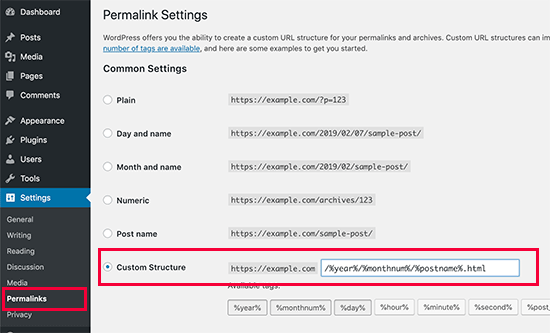 Before we start, it is important to note that this guide is for the self-hosted WordPress blog. See our guide on the difference between self hosted WordPress.org site vs WordPress.com blog. 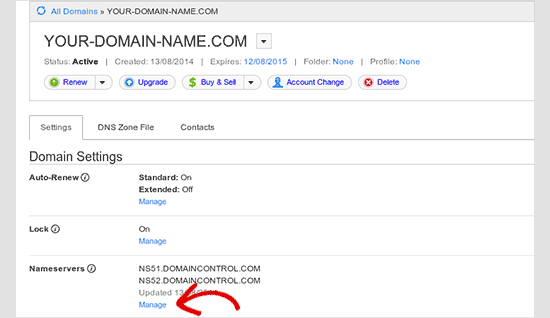 When you first setup the domain pointing to your Blogger blog, you were asked to add CNAME and A records to your domain’s DNS settings. 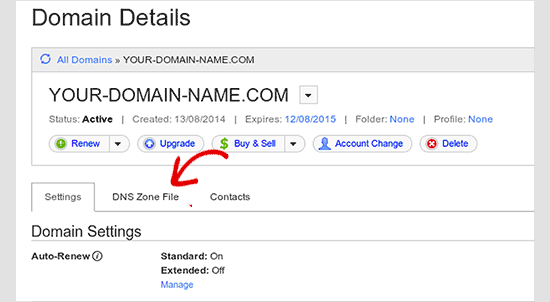 You will need to delete those old records and add your new WordPress host’s DNS settings. 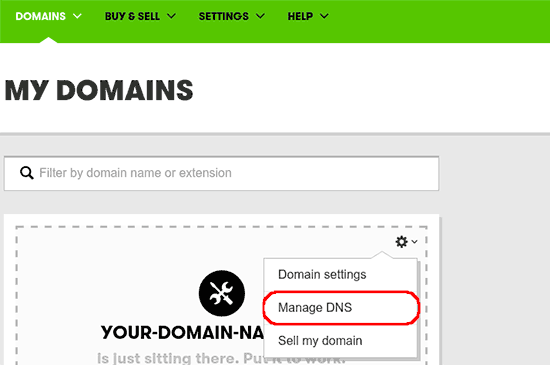 In this guide, we will show you how to update DNS settings in Godaddy. 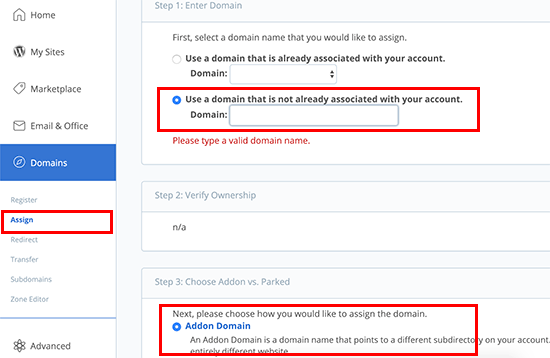 However the basic settings are the same across all popular domain registrars. Important: DNS changes may take anywhere between a few hours to one or even two days to fully propagate. 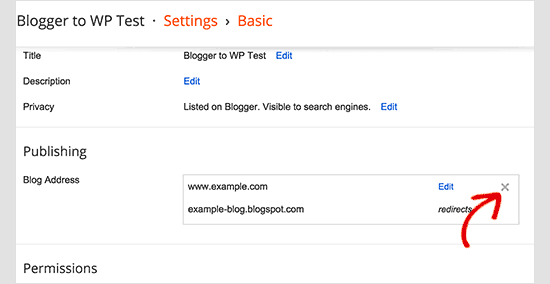 During this time, you can access your Blogger blog by logging into your account. 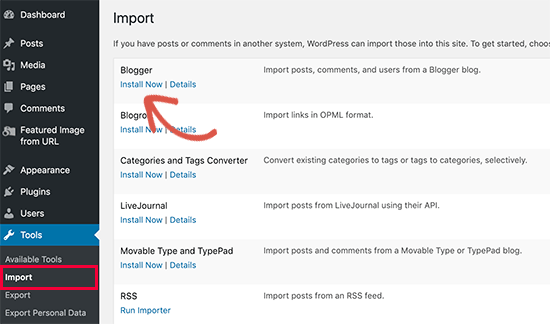 On the Import Blogger screen, WordPress will ask you to upload the XML file. Simply click on choose file button and upload the XML file you downloaded earlier. Click on the Upload file and import button to continue. 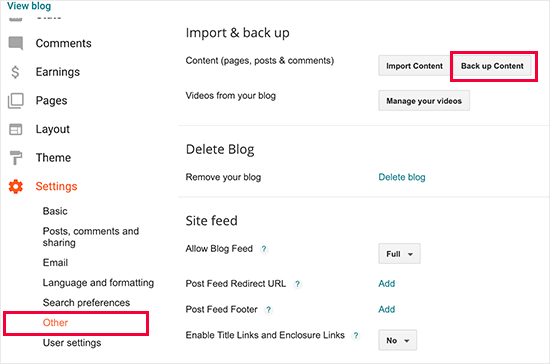 WordPress will now import your blog posts from Blogger, once it is finished you will be asked to assign an author to the imported posts. You can assign your blogger posts to an existing author or create a new one. However, you still need to make sure that you don’t lose any search rankings by redirecting search engines and visitors to the same content on your new WordPress powered website. You have successfully redirected your Blogger blog to WordPress. However, users who have subscribed to your Blogger RSS feed will stop receiving updates. 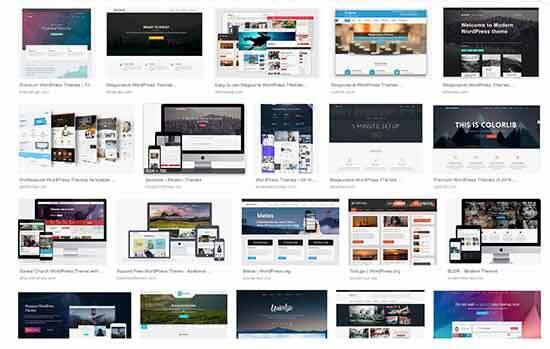 Note: You can also use one of these drag & drop WordPress page builders to create completely custom website designs without writing any code. Next, you should know that WordPress is not just limited to blogs. You can use it to create any type of website you can imagine. Add an online store to your blog and start selling. Build a membership website and start selling subscriptions and premium content. Add a job board to your existing website and monetize it. 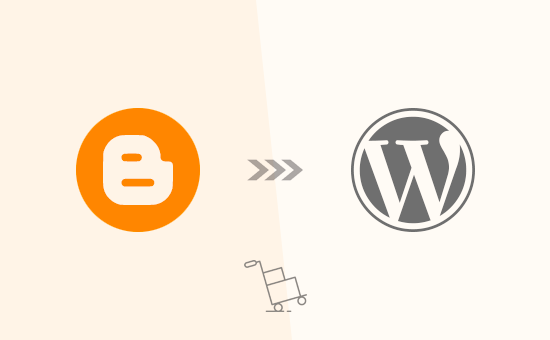 We hope this article helped you move your custom domain blogger blog to WordPress. You may also want to see our list of 40 useful tools to manage and grow your WordPress blog. The post How to Move Custom Domain Blogger Blog to WordPress (Updated) appeared first on WPBeginner.